Inferring is a tough skill especially for kinders since they don't do so good with the abstract. 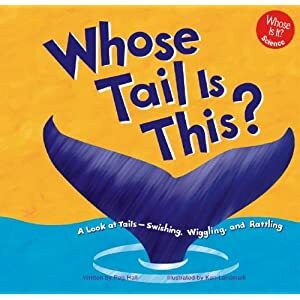 I created a lesson where I first the book "Whose tail is this?" by Peg Hall and Ken Landmark. They have a bunch of books Whose nose, whose eyes, etc. We read and talk about how when we infer we put two things together. 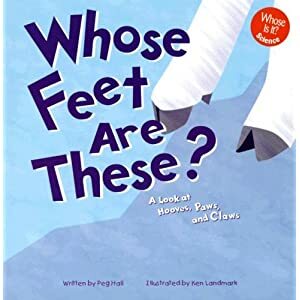 First we have clues in the book in the words and pictures and then we also have our schema (things we already know about in our brain) and when we read we have to put those things together. These students said that the clues were the eyes and the whiskers so they wrote "I think is a cat"
So then I passed out pictures of close up images of animals and the pairs could write and draw on the sticky notes about what they were thinking. Then each pair got to present what they thought and at the bottom I out the zoomed out picture. Lessons Learned - Make sure there are enough clues in the pictures. Some of the pictures were too hard because they were too close up. So usually I post funny things the kids say to me, but I stumbled on this gem while cleaning through photos. I remember this day. Once of my students kept going over to his cubby every couple of minutes while doing his morning work. Finally i went over to see what he was doing and this is what I found. So these were back in February here are a few things we did for the 100th day of school. You'll notice it looks a little funky in the middle. I had a sub for a couple of days and I had trouble getting things to line up after that for a while. This is something that I will be doing again because the kids loved it. We wrote 100 words. This was a good time filler for those early finishers. Many worked on and off throughout the day. Here is an science and art lesson. One of our science units is about states of matter and we mostly talk about solids, liquids, and gases. In order to help students experience air I plopped down some paints and let them go to town and blow as hard as they could. I gave them very little instruction beyond blow the paint and keep it on the paper. Some of them really got into mixing the colors and it brought up such wonderful discussions. Also try to get those little straws like they have a lunch for their milk. The thinner the straw the harder it is to blow. This is good because you want them to have to work at it. Another handy tip I have is for how to dry painted paper. Since I have a limited amount of space I take a Styrofoam tray (I just used ones from the lunch room that the kids were done with) and cut paper to fit inside. Depending on what you are doing you can have the kids paint with the paper already in the tray or place it in when they are done. Then just stack them up criss cross.